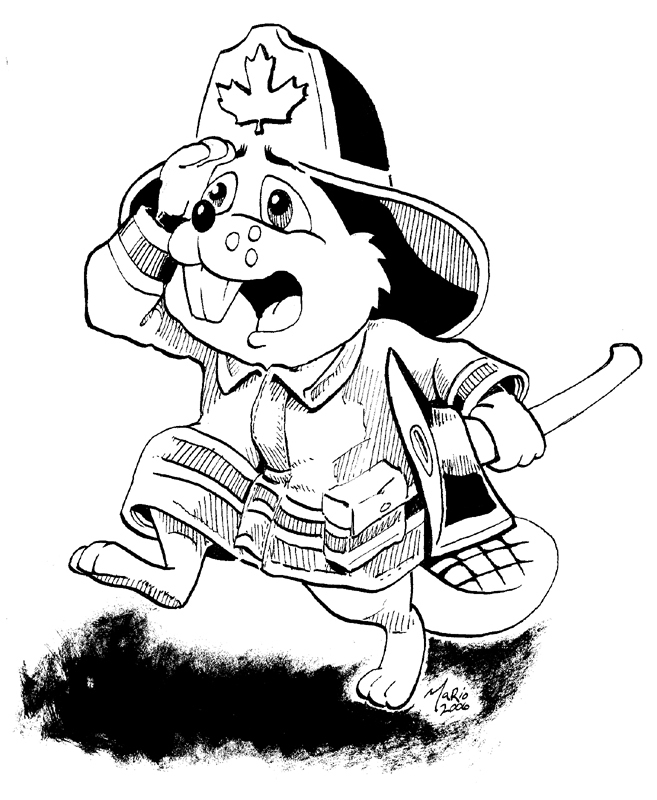 Congratulations Autumn Fillmore from the Saint-Paul School for winning the grand prize in our “Name the Firefighting Beaver Contest”. 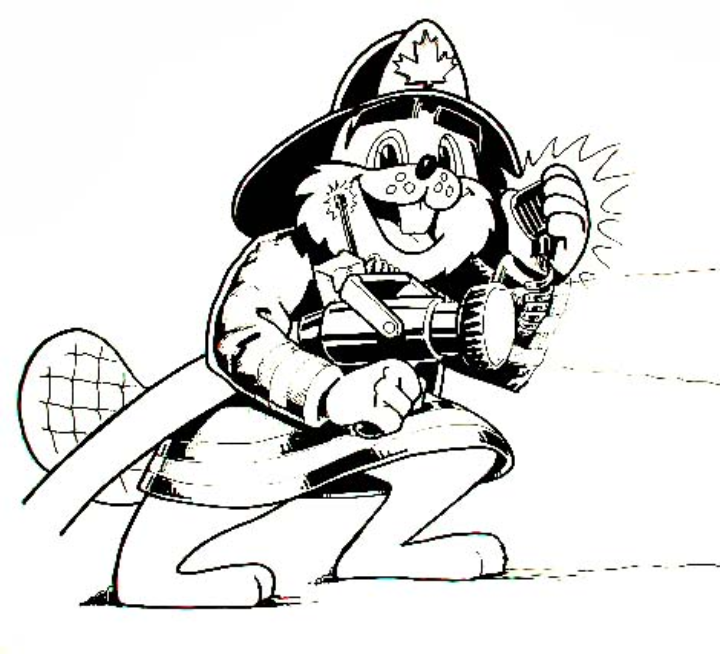 The Official name of the Prevention Source mascot is Burny! This all Canadian mascot is one that we can finally relate to. 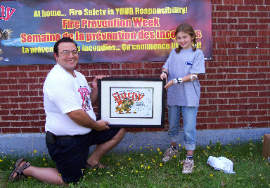 Shown here are Mario Doiron, the Artist and member of the PSP Team with Autumn Fillmore, winner of the contest. Click on the images below and print to colour!